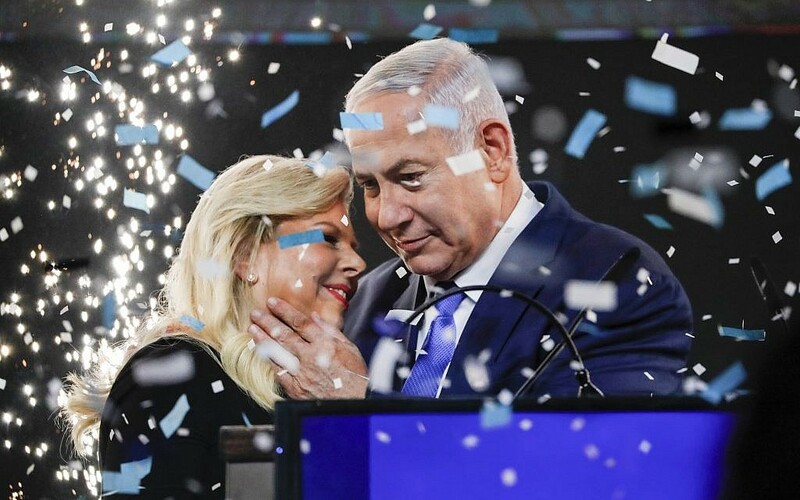 The Israeli public has chosen to end the historical role and political significance of the Israeli political left. For many of Israel's voting public, "peace has become a dirty word." The Likud-led platform of Jewish solidarity and support of modern Jewish nationalism based on Israel as the national homeland of the Jewish people coupled with unprecedented economic prosperity has convinced the Israeli public that the Left's vision of peace, liberal social values, and socialist economic policies belongs to the past and has been deemed as unrealistic at best and a denial of reality at worst. 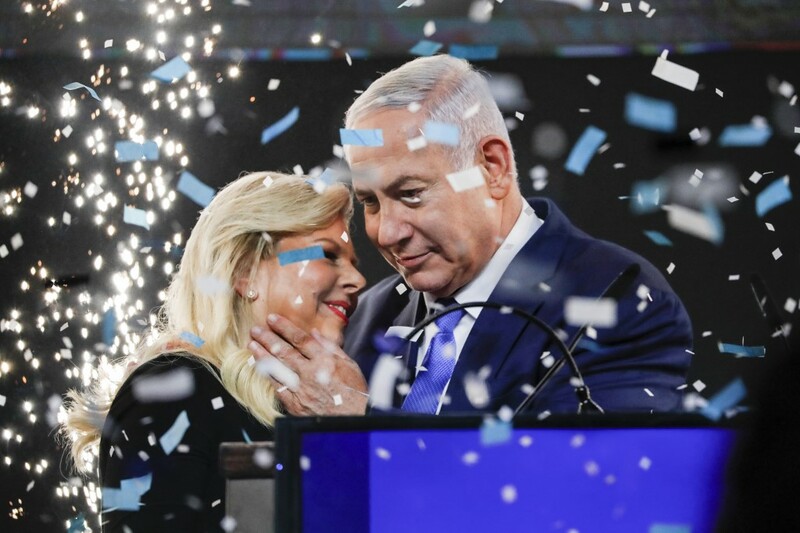 Even the combined might of three former IDF chiefs proves no match for a prime minister now heading for his fifth term..
Prime Minister Benjamin Netanyahu embraces his wife Sara amid confetti during his victory speech before supporters at Likud party headquarters in Tel Aviv after April 9, 2019's elections. He had help. President Donald Trump gifted him the sensationally timed US recognition of Israeli sovereignty on the Golan late last month, and the branding of Iran’s Islamic Revolutionary Guards Force as a terror group this week.